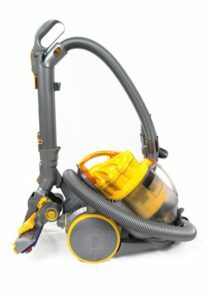 Using a vacuum cleaner in the house ensure a clean and healthy environment. Some of the potential allergens such as pollen, dust, mold, and bacteria are present in the air, carpets and other surfaces in the house. The particles in the air might be responsible for spreading disease but also the culprit for allergic and respiratory issues. By using a vacuum cleaner with a HEPA filter, you’re able to achieve clean air and prevent various respiratory issues. A HEPA filter stands for High-Efficiency Particular Air filter. The difference with this type of filter is the rigid and strict testing it must undergo. A HEPA filter should trap 99.97% of particles that are 0.3 microns or larger. This does not necessarily mean that it could not ensnare particles smaller than 0.3 microns since most can. It is basically the limit to reach for a filter to achieve HEPA-grade. The first record of using fibers to ensnare dirt and dust was during the Manhattan Project (first atom bomb project). The project involves the need to filter miniature radioactive particles while building the atomic bomb where the fiber filters are highly effective. After the initial development, there is a steady progress due to its industrial applications. Although common in household vacuums, the filters have a variety of industrial uses. 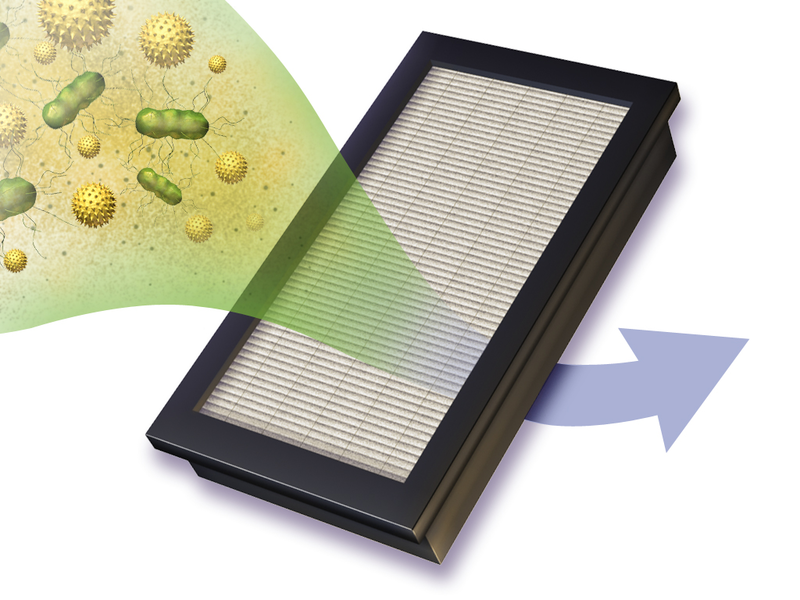 How does a HEPA filter work? Outer filter – functions in the same manner as a basic sieve. This layer removes the biggest particles of dirt and dust. Inner layer – this appears as folded materials which are glass fibers. This layer catches particles in various ways. The slow-moving heavy particles move in a random manner in the filter (diffusion) which later adhere to the glass fibers. The faster particles might collide directly to the fibers (impact) or attracted to them while moving through the fibers (interception). Most HEPA filters are frequently a component of various home air purifiers and vacuum cleaners. For a filter to qualify as one, it should trap 99.97% of contaminants that are 0.3 microns or bigger in size. You can easily identify genuine HEPA filters with their serial number and test results. The filters undergo specific testing to prove that they trap at least 99.97% of particles 0.3 microns or larger. If the filter cannot achieve this, it is not a true HEPA. Some filters include labels with letters A-E depending on their effectiveness. Although all filters with the letters are “true” HEPA filters, A is the least efficient while E is ideal for military-grade use. When vacuuming, a grade-A HEPA is usually enough. The capability to filter small particles is an essential feature since these particles can easily reach deep into the lungs. Among those with allergies, one of the potent allergens is present in dust mite feces. A true filter is generally expensive than the fake variants but capable of effectively lowering the health risks from the poor-quality indoor air. Investing in a HEPA-grade vacuum cleaner is an investment in your health. Remember that many vacuums claim to possess HEPA levels of filtration but will not provide those numbers. If it has not undergone individual testing and given a serial number, it is not a true HEPA filter. If you have a vacuum cleaner equipped with a HEPA filter, it provides a variety of benefits to overall health and the environment. When using a HEPA vacuum cleaner regularly, at least once a week, it provides a big improvement in the overall indoor air quality. The filter prevents the release of any contaminants and impurities back into the air flow. Individuals suffering from allergies and asthma face a constant battle and any flare-ups at home can be troublesome. With a HEPA vacuum cleaner, it helps eliminate any pollutants in the air that can trigger allergic reactions or flare-ups of asthma. The filter is highly beneficial during the summer season when allergies specifically hay fever is at its peak. The filter can easily trap pollen and prevent their release into the air. You will have peace of mind knowing that your house is clean and safe, especially if children are around. Using a vacuum with a built-in HEPA filter will ensure that your house has clean air free from any potential allergens. Do I need a HEPA filter in my vacuum cleaner? One of the major environmental health risks is indoor air pollutants. Individuals with airborne allergies will greatly benefit from HEPA filter vacuums. Although they cannot get rid of all allergens, the filters can lessen their amount in the air significantly. This can rapidly lessen the symptoms or at least minimize them to a manageable level. Among those who do not have allergies, the filters are generally good for overall health. The filters prevent the release of some bacteria, mold spores and viruses into the air after vacuuming. Furthermore, it also keeps the indoor air clean. One also gains a bigger satisfaction from cleaning using a HEPA filter vacuum. This significantly lowers the presence of airborne allergens and toxins in the environment if done several times throughout the year. It also ensures that dust or other particles will not circulate and accumulate on different surfaces around the house. 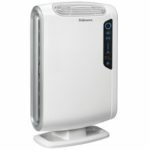 Whether you are suffering from allergies or asthma or simply want to protect your house from air pollutants, you should get a HEPA filter vacuum cleaner. Generally, regular cleaning with a certified HEPA vacuum significantly improves the air quality by lowering the amount of dust, airborne allergens and detrimental chemicals in the house. Using the suitable vacuum cleaner will ensure a big improvement in the quality of indoor air as well as lower the flare-ups of allergies and asthma.